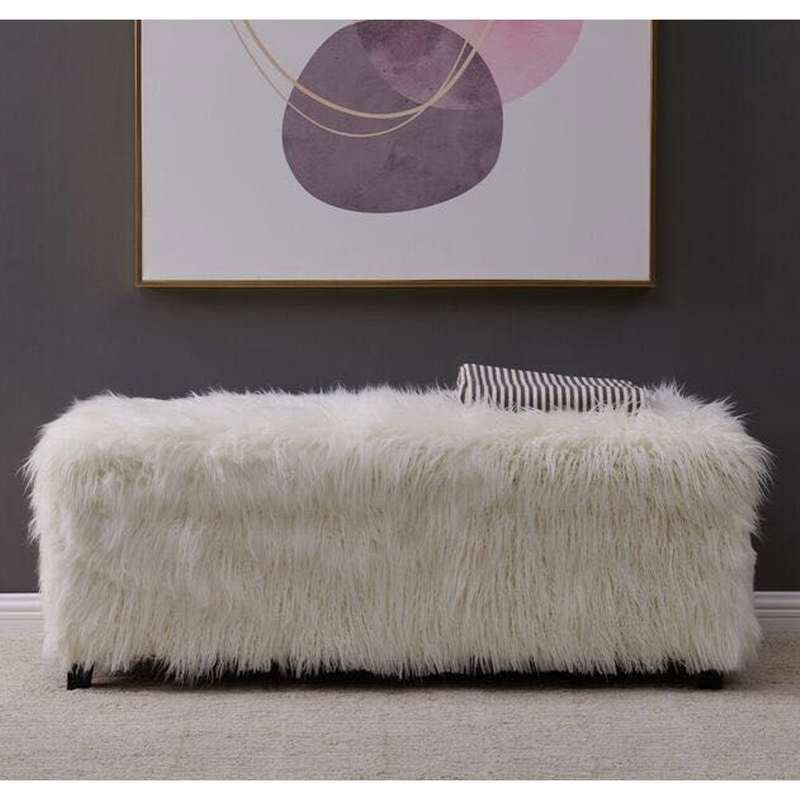 Make your home feel a lot more stylish and furnished by introducing this wonderful White Heavy Shag Faux Sheepskin Ottoman. It has a beautiful design that'll be sure to stand out and grab attention, as well as creating a warming atmosphere in any home. This piece has a white colour and a heavy shag faux sheepskin material.